MainAll NewsInside IsraelWhat did Ehud Barak offer MK Stav Shaffir? Former Prime Minister visits home of Zionist Union MK, begs her to run for leadership of Labor Party. 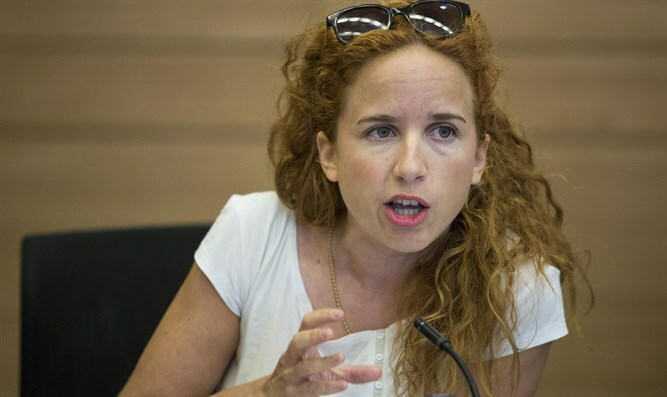 Journalist Sima Kadmon reported Friday morning in the Yediot Aharonot Hebrew newspaper that former Prime Minister Ehud Barak visited the home of MK Stav Shaffir (Zionist Union) and urged her to run for the leadership of the Labor Party. The meeting took place at Shaffir's house in Tel Aviv, together with 20 of her friends and colleagues who have been her supporters since she was first elected to the Knesset. During the meeting, Barak called the Labor brand an "old, tired brand," and argued that the party needs the energy of younger leadership. He begged Shaffir to run for the party leadership during the meeting, which lasted approximately two and a half hours. According to the report, Barak slammed "the talkbacks of the right, who shoot rubber bullets and think they are cannon shells. Instead of [reacting with] fear, we must work day and night to remove the masks of the right and show how they are harming national security."